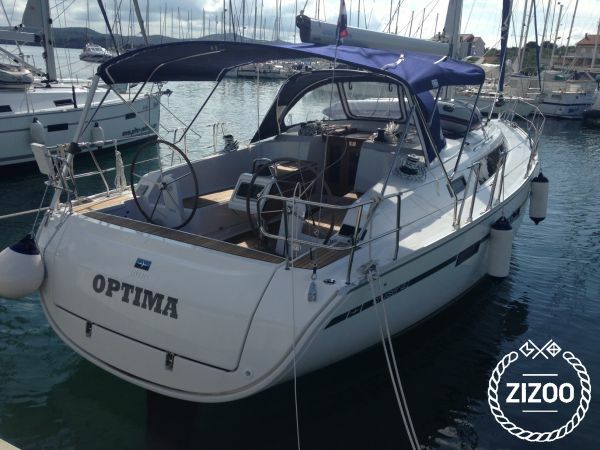 Book this family-friendly Bavaria 41 Cruiser in Kastela, the perfect base for island hopping in Dalmatia. The Bavaria 41 is an ideal mid-sized cruiser. It’s straightforward, functional design ensures easy sailing and comfortable living spaces. This 2014 model features 3 cabins and sleeps up to 7 guests. Located in between the historic cities of Trogir and Split, Kastela is an ideal destination to enjoy a cruising along the Dalmatian Coast. Visit some of Croatia’s best beaches, historic villages and more. For tips on what to do and see in the area, take a look at our sailing guide to Split and 7-day itinerary. AMAZING EXPERIENCE!!!! We booked through Zizoo because they offered us a top price and a concierge service. We didn't have to worry about anything! Besten Dank an den Skipper. Einen super Urlaub hatten wir.